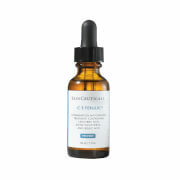 One of the most stable low pH, high concentration vitamin C liquid gel serums on the market. This serum fights free radical damage, improves skin tone and texture and has anti-inflammatory properties. This antioxidant protects against sun damage, improves pigmentation problems and is a key co-factor in the production of collagen. Use morning and/or night. Apply a small amount on clean skin. Keep in a cool place for maximum stability. 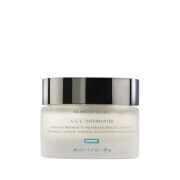 It is advised to hydrate the skin following application with Hyper Vitalizer Face Cream or Active Hydrating Complex. I was satisfied with this product for the first few days until the faulty pump apparatus became apparent.The texture is fine, product is quickly absorbed, and fragrance is citrusy which was unique and pleasant. Unfortunately, the pump allowed air into the container which oxidizes Ascorbic acid and negates the entire point of a pump bottle. After moving through various product lines with Skinstore over the past several years - always seeking the latest age-defying product - I've been using the Caudalie line for the past two years. But I found that even the Premier Cru was not keeping up with the appearance of "wisdom spots" on the outside of my cheeks and sides of the neck. At 61, I am committed to keeping my skin - face, body and hands - from revealing my true age, but needed to step up the brightening results to keep looking like my mid-forties.. Two weeks of using EmerginC Serum morning & night, just one pump, and I am already seeing visible results. One pump spreads beautifully across my whole face and neck, and I also massage it in a bit with the backs of my hands to give that area the benefit of this treatment. I expect to eventually fall back to maintenance mode with this, using it once a day. 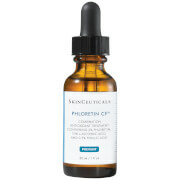 I usually buy a GM Collin Vitamin C serum from my facialist, but saw that this one was a bit cheaper and gave it a try. Now I'm hooked! It does take several weeks of regular use to notice the effects, but stick with it...it will pay off! this spreads easily so one pump per night is enough for me. I follow it up with the EmerginC Vitalizer cream. In order to help you see the results, I recommend you pump this onto the back of your hand instead of the palm. After about a month, compare the back of your hands. You will see the difference!! Happy to find it again!